Before the Android M, Google’s major upgrade to its Android was Lollipop which brought with it a handful of changes from an overall layout overhaul to enhancements in functionality and performance. Many developers have adopted the Android Lollipop’s Material Design language in their apps according to guidelines from Google itself. However, many applications are still to translate their apps accordingly. Dropbox has been missing out on Material Design for a long time. Since the stock android language is still to last another year, it was advantageous for the company to pour in some Material Design in their Dropbox app. Better late than never, Dropbox has its newest version released, 3.0.0. This is what this post will be focusing later on, about the changes made in the update, either visual or under the hood improvements. Material Design is the design language of Android’s latest operating system, Lollipop. Material Design has completely changed the visuals of user interface of application as well as the handling system. The design language alters or relocate action buttons which has become a thing for many of the Material Design applications. However, when we talk about Dropbox’s debut to Material Design, the visual changes are numbered while on the other hand, it does not include an increase in stringed features as compared to the previous version. The update 3.0.0 of Dropbox only focuses on the visual behavior of the application. 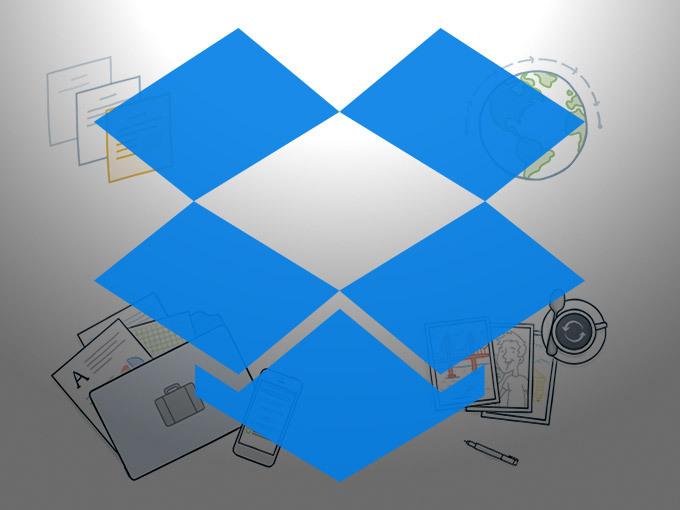 The Dropbox has a dedicated cloud storage purpose and it fulfills it substantially greater than any other application for some users. Now, coming back to the visuals, Material Design looks offer an afloat or hovering action button on the bottom right side of the application. Along with this, the update includes a prominent menu button that slides out and provides an elegant feel to the eyes. As that, the color of the status bar also changed just like other Material Design applications. In this case, the status bar color has been changed to give a dark blue shaded color. As mentioned before, the application did not get any feature enhanced update, yet the visuals have been altered. However, the forthcoming updates may provide additional features drenched in the same Material Design look. That’s all for the update on Material Design Dropbox update. Let us know in the comments how you feel about the update. The post Google’s Material Design Finally Makes Its Ways To Dropbox For Android by Ali Salman appeared first on WCCFtech.